Eggs-perienced Easter Bunny Ready To Entertain! Easter is eggs-tremely early this year, but our talented Easter Bunny is up to the task! 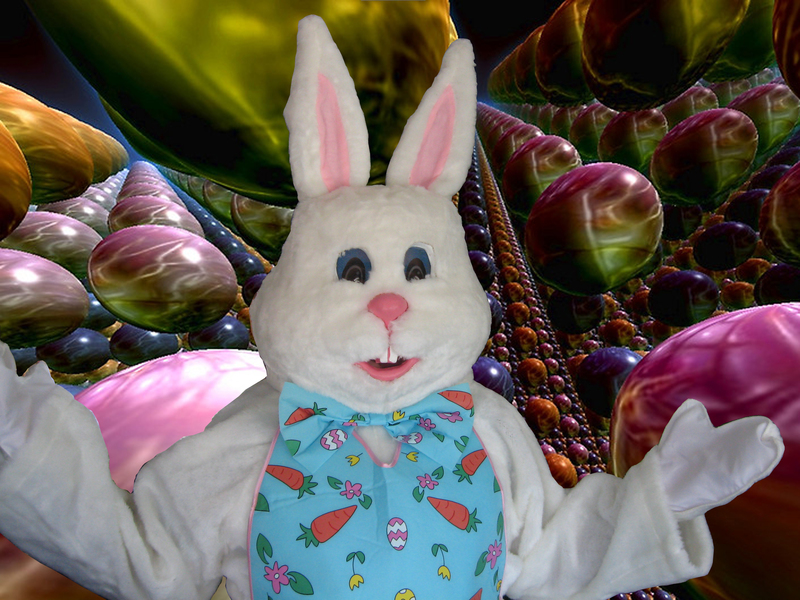 With a professional-grade, well maintained costume, our bunny is hoppy to entertain your guests at public Easter egg hunts, or private holiday gatherings. For more information or to check availability and pricing, be sure to e-mail justplainsillyballoon@gmail.com! Also, be sure to check out our Easter Bunny’s performance in this video promo from last year!